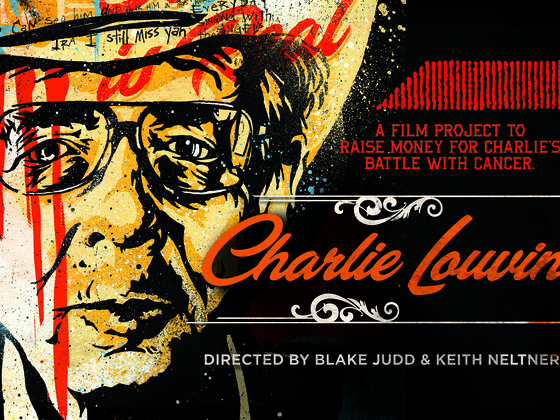 I’m happy to announce that Charlie Louvin: Still Rattling The Devil’s Cage, a film project by Blake Judd and Keith Neltner has been fully funded through Kickstarter. 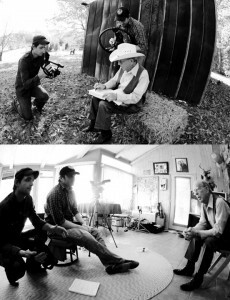 The project was put together to develop a DVD whose proceeds will go to Charlie Louvin and his mounting medical bills associated with his ongoing battle with pancreatic cancer. On December 3rd, Charlie will play a show at the Foobar Too in Nashville, and the monies collected from Kickstarter will go towards the production costs of the filming, editing, and manufacture of a DVD of that show. Though the project has reached its goal of $3,000, people are still being encouraged to donate, with the additional money going to improve the production and scope of the project, as well as paying Kickstarter the small fee they request to facilitate the process. There are also still incentives for people who donate certain amounts, including signed and numbered DVD copies, limited edition prints from Keith Neltner, and recognition in the credits of the DVD (a complete list of incentives are on the Kickstarter page). The underground country faithful have risen up to support this project, including other artists. Lonesome Wyatt, whose music with Those Poor Bastards and other gothic country projects is inspired in part by The Louvin Brothers gospel style, has contributed to the project and asked other to do the same. Another artist, Rachel Brooke, who collaborated with Lonesome Wyatt on the album A Bitter Harvest, has also donated. She doesn’t need to speak to the influence of Charlie Louvin on her music, she’s proven it, including a cover of the Louvin’s “Knoxville Girl” on her first album. Even if you didn’t contribute, but helped spread the word by telling friends and family, posting and reposting messages through social networks, pat yourself on the back! But remember, you can still contribute and help make this project even better, and take advantage of some great incentives. Who do I get a hold of to contribute music? I would get a hold of Blake Judd through his website. You can find the link above. Sorry, I misread the stuff about Wyatt and Rachel the first time through. Great News Triggerman! Hey is everybody getting the blank pic with the little red x above Tags? Where are you seeing this AJ? I’m not having any troubles. Sorry Triggerman, my Norton must be blocking it…I guess? It says “C3 LouvinKickstarterAd” when I mouse over the red X. It took me to the picture/ad when I clicked it, I was just wonderin cause I never got one of those from your site before…Just some more of my cyber dumb I gotta work out. tHANKS!!! GREAT NEWS! And I’m glad to be a part of it. Can’t wait to get the DVD. For me it’ll be the closest thing to ever seeing him live. Here’s to Charlie, Blake, Keith, and their Kickstarters! It is an honor to be part of this project.